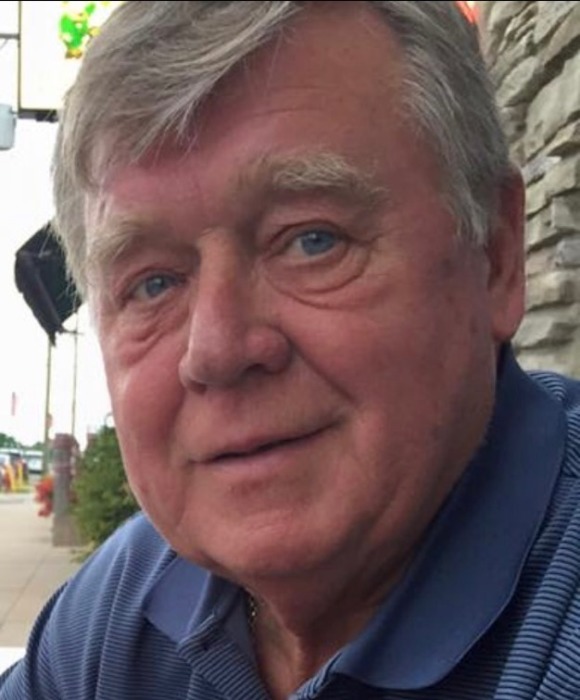 Larry A. Jerde, 77, of Streator passed away Saturday, March 16, 2019 at O.S.F. St. Francis Medical Center in Peoria. Mass of Christian Burial will be at 10:00 A.M. Wednesday at St. Michael the Archangel Church, Streator. Msgr. Philip Halfacre will officiate. Visitation will be from 4-7 P.M. Tuesday at the Solon-Telford Funeral Home, Streator. Burial will be in St. Stephen’s Cemetery, Streator. Pallbearers will be Greg Zavada, Melissa Zavada, Josh Austin, Dave Marcin, Ryan Schmitz and Mike Peterson. Third Degree members of the Msgr. George A. Dzuryo Knights of Columbus Council # 790 will serve as honorary pallbearers. Full military rites will be accorded by members of the Leslie G. Woods American Legion Post 217 and the Veterans of Foreign Wars Post 1492. Born May 17, 1941 in Streator, he was the son of Curtis and Dorothy (Springer) Jerde. He married Marietta Retoff on November 11, 1977. He is also survived by his wife, Marietta Jerde of Streator; a son, Dan (Jackie Copeland) Jerde of Streator; daughters, Brandi (Ismael) Hernandez of Brownsburg, Indiana and Deana (Carey) Snedden of Bloomington; 10 grandchildren; 1 great granddaughter; sisters, Sally Gass of Streator, Barbara Overocker of Streator, Kathy (Glen) Hepner of Streator and Lynn (Bill) Bryant of Florida; and a brother, John Michael (Natalie) Nolan of Avon, Indiana. He was preceded in death by his mother and father; a stepfather, John Nolan; and brothers, Bud and Allen Jerde. He was raised in Streator and attended Streator Grade Schools and Streator High School. He worked for Streator Brickyard for 15 years, US Foods for 20 years and spent the last 18 years bartending at the Knights of Columbus. He was a member of the Msgr. George A. Dzuryo Knights of Columbus Council # 790 and the Streator Eagles Club. He was also an honorary member of Streator Youth Football. Online condolences may be left for the family at www.solontelford.com.